The New York Times’ David Pogue points out in his latest Personal Tech column that with iOS 4, the iPhone now includes text-to-speech conversion for iBooks and PDF files – a pretty stunning feature, when you think about it. 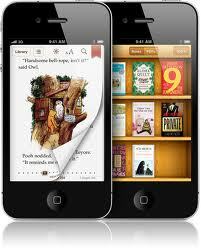 In principle, to listen to an annual report or an product manual instead of reading it, users simply turn on the VoiceOver feature, the iPhone’s built-in accessibility software, then open an iBook or PDF using the free iBooks application. Use a two-finger swipe to start reading, and presto! The PDF’s text is read aloud! No support for tagged PDF! Now – before you get TOO excited, just like all other smartphone apps for reading PDFs that I’m aware of, iBooks doesn’t use PDF tags to manage the text-reading experience. And that’s too bad, because unless it can read tags, it can’t accurately read anything but the simplest of documents. A phone bill? Forget it. PDF tags provide logical structure for content. To ensure, for example, that software can follow an article from page to page, or even from column to column, the PDF file must be tagged correctly. I wasn’t surprised to discover that the iPhone’s new “talking pdf” feature doesn’t actually read PDFs properly – very few apps are that smart about PDFs (yet), to say nothing of apps for mobile devices. Thanks a lot, David. I got really excited there for a moment! Appligent Document Solutions provides PDF tagging services for producing accessible, Section 508 compliant documents.